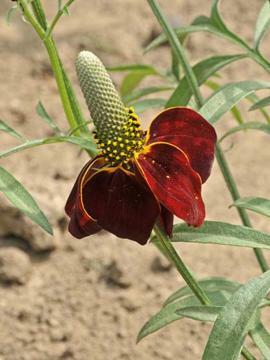 Unusual flowers with broad reflexed petal of yellow and dark mahogany red and an elongated green and black central cone. Ferny pinnate grey-green leaves. More compact and shorter growing than the species. Most well drained soils in sun. Tolerant of drought and heat.